It always amazes me the memories that we hold dear to us. I love hearing peoples stories for this very reason. My boys memories are especially sweet for me because they often have a profound deepness about them and sometimes they are seriously silly! 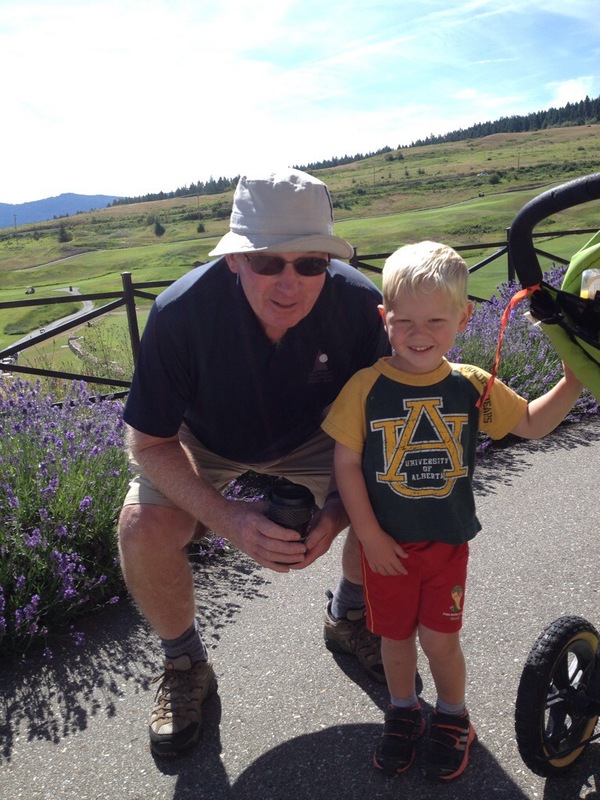 Last year I blogged about our oldest experiencing a golf camp here. 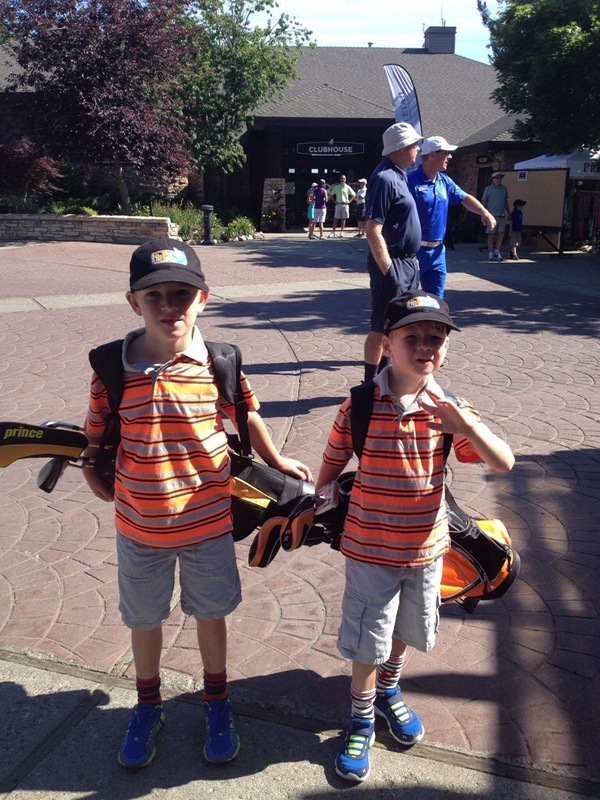 Here are both of our boys at golf camp today. JC is seven and CC is almost five. (We snuck him in!) 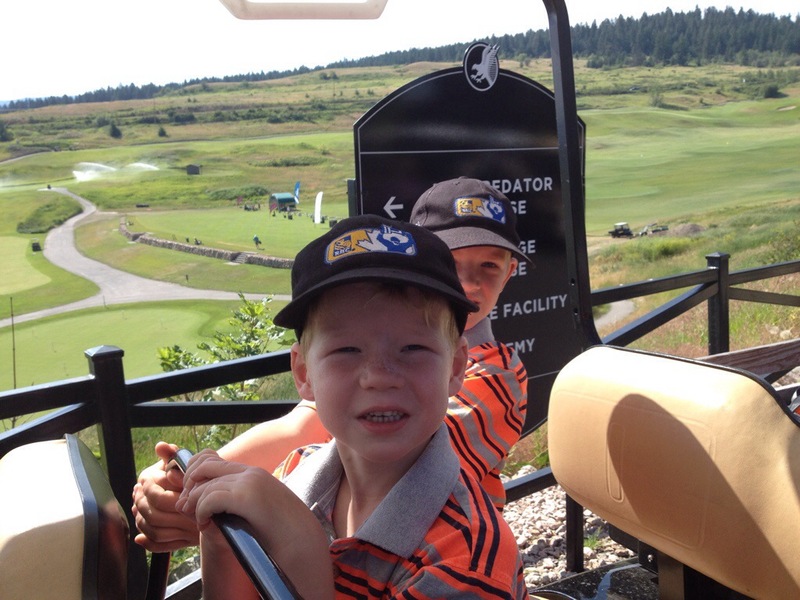 They were very excited to go together and ride in the golf cart, putting the ball down hill very carefully and driving the ball towards a yellow flag. The boys are waiting for camp to begin. Papa is in the background chatting to the instructor. 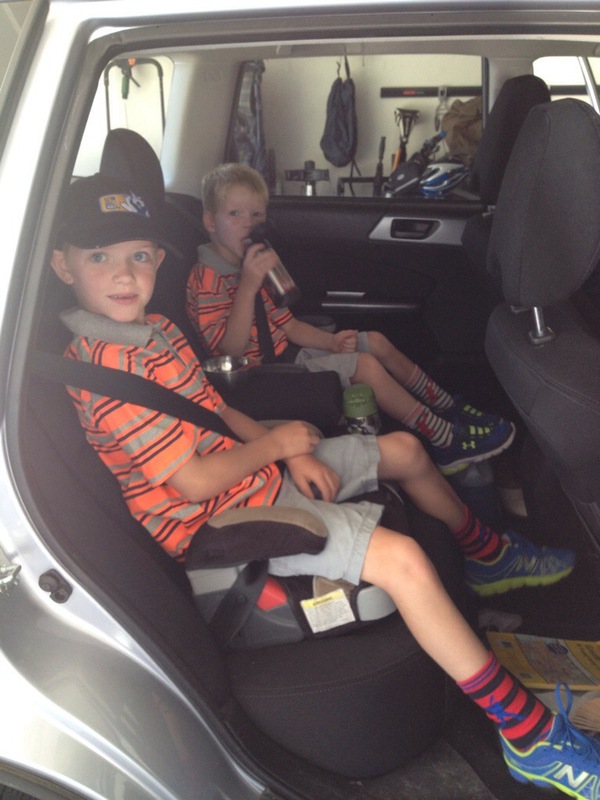 The boys were ready and in the car before any of us this morning… thank goodness the car was in the garage or they would have had to get out because it was hot, hot, hot today! 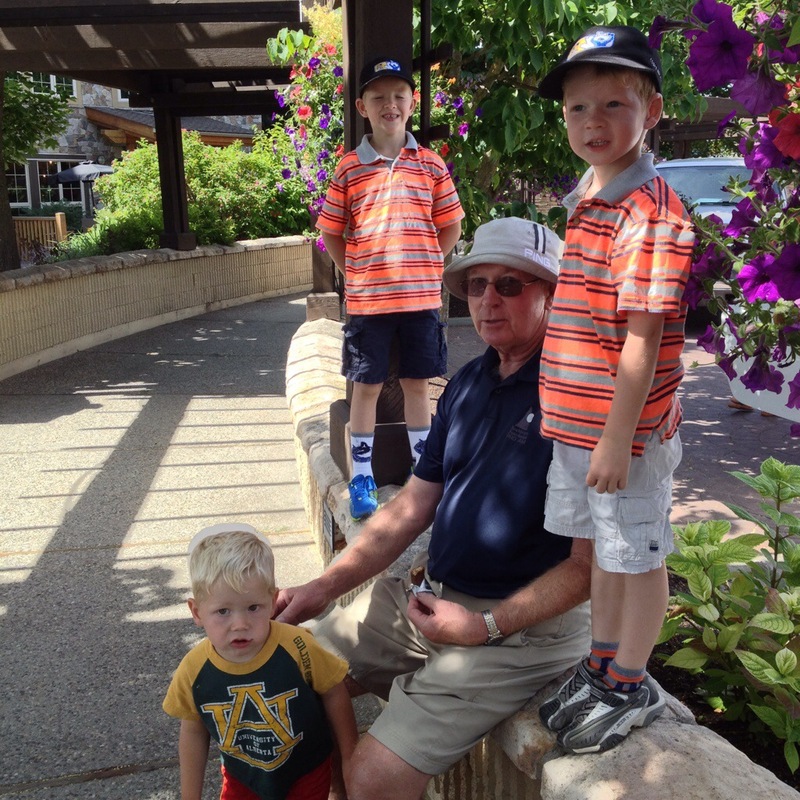 The boys getting ready to ride the cart down to the driving range. JC brought up a memory from last year. Nana had walked down to the driving range to watch him hit the ball. At the end of the session Nana decided to race the golf cart back up the hill. JC remembered her running fast. And in true Nana fashion, she won the race! How can this only be a year ago? How could she have been in the hospital only a month later? And DEAD five months later? Boys who cherished her presence. Make those cherished memories and enjoy !!! Hi Ginny, come on down! I know my dad would love to see you two too! We are off to meet up with Jamie and Rea and families this weekend!